Unique designs to complement your brand and make an impression. Need a brochure? Postcard? Car Magnets? If you can imagine it- we can print it. Follow. Tweet. Connect. Whatever it is, we’ll make sure you look perfect. Stop sending BORING emails! Send the right message with a custom designed signature. Start your design from scratch, catering to your every need and target. Refresh your Placester website with a custom responsive design that looks great on mobile, tablet and desktop! A great site needs a place to call home. Learn about our cloud hosting. Learn why BrandCo should be the agency you trust with your brand. Our people are the secret sauce to awesomeness… come meet them. Discover what to expect when you work with BrandCo. Check in on the latest news and events from the BrandCo team. 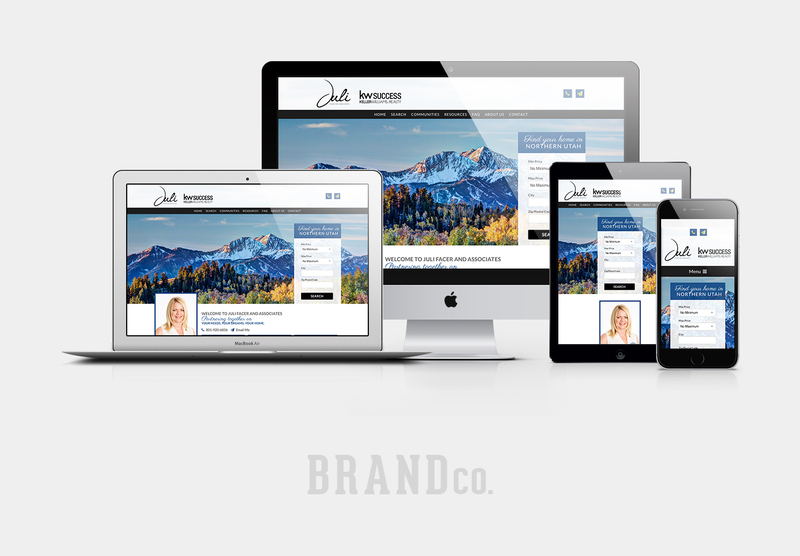 When Juli Facer came to BrandCo for the custom design of her website, she knew she would be in good hands. Juli works KW Success office, located in Utah. No surprise then that her website would showcase a beautiful mountain scape, embodying everything we imagine from that area. With BrandCo Headquarters being in Orlando, Florida, our team is always excited to work with images of mountains and snow. Juli’s journey to her newly designed website began with a phone consultation with designer, Denika. These phone calls take place so our designers can learn about our clients’ business, likes, and focuses. This gives our designers the information and creative direction they need to hand-craft a design specifically for each client’s business. Once the call is concluded, the designer is able to take their notes and create a website design from scratch. Within a few days, the first proof is sent. Now then…there’s always a chance that the first concept may not be a bullseye. In the case of Juli’s project, that is exactly what happened. Juli and her team wanted a change and decided to take this opportunity to fully rebrand their company. They wanted to update their logo and change their color scheme to better represent them. After a few more rounds, Denika and Juli found the perfect combinations, the design was approved, and the website handed over to development. One of our developers, Eric, took great care in building out the design in an updated, responsive format. When you look at julifacer.com on any device, you are getting the same experience. This is really important nowadays with the growing number of mobile devices being used to browse the internet. Did you know that “more Google searches take place on mobile devices than on computers in 10 countries including the US and Japan.”? That means that your website needs to cater to all the possible platforms that can visit it and now, Juli’s website does! Exploring JuliFacer.com, you can see a multitude of great information. Above the fold, you’re presented with the opportunity to search for properties. With a slight scroll, you get introduced to Juli herself and encouraged to join their team or to follow them on social media. Below, you have the ability to choose a popular community within the area. Something like this would be particularly beneficial if you’re wanting to know more about communities in this Utah area. Lastly, you’re given a set of three calls-to-action for resources and to get an estimate on your home value. This website is an amazing next step for Juli, her team, and their business. Their web presence is now head and shoulders above what it used to be. 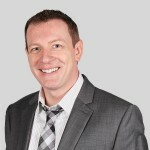 They have the ability to rank on Google’s new mobile-friendly algorithm and to cater to their mobile-savvy clients. We wish the team the best of luck and we are so happy that they chose to allow us a stake in the success of their company.